liked the flam flam kind more. Perhaps I'm learning a little. to become a popular seller. I hope I shall see you. 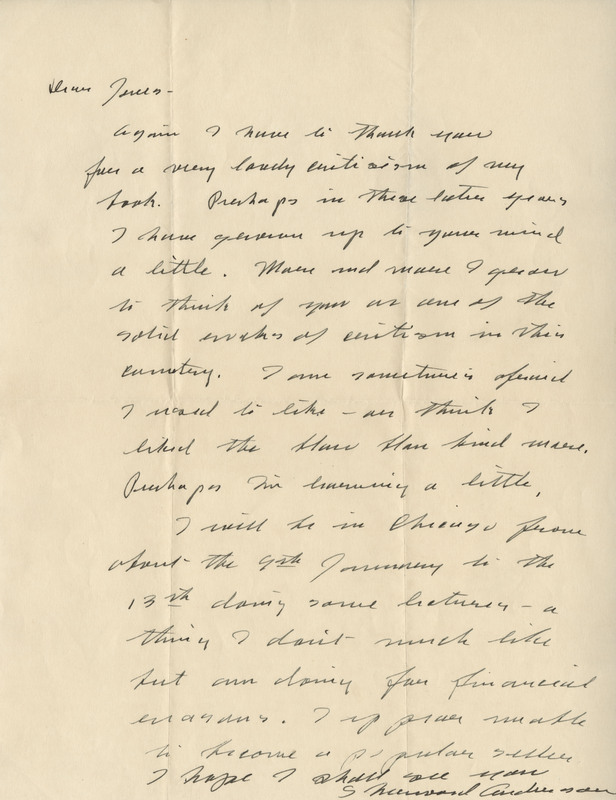 Anderson, Sherwood, 1876-1950, “Sherwood Anderson Correspondence with Llewellyn Jones, 1916-1924, n.d. (Ms2015-044),” VT Special Collections Online, accessed April 23, 2019, http://digitalsc.lib.vt.edu/Ms2015-044/Ms2015-044_AndersonSherwood_Letter_1924_1214.